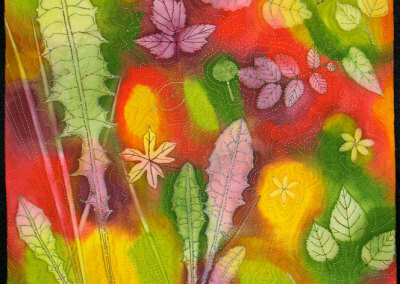 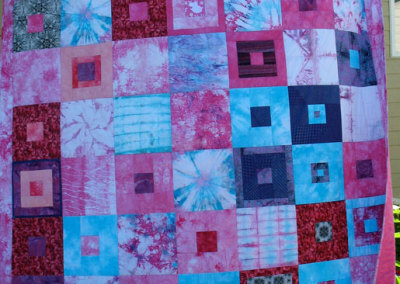 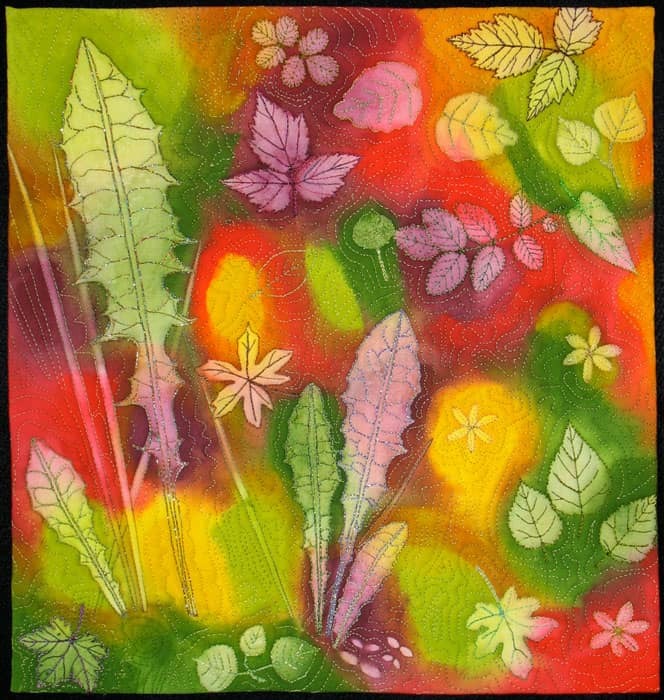 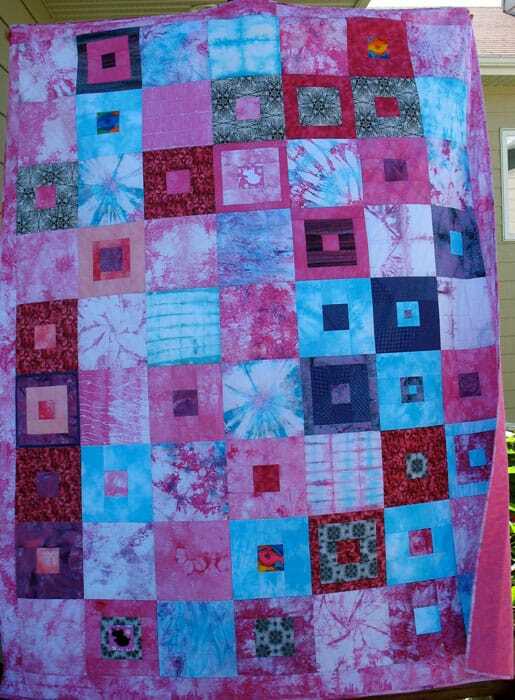 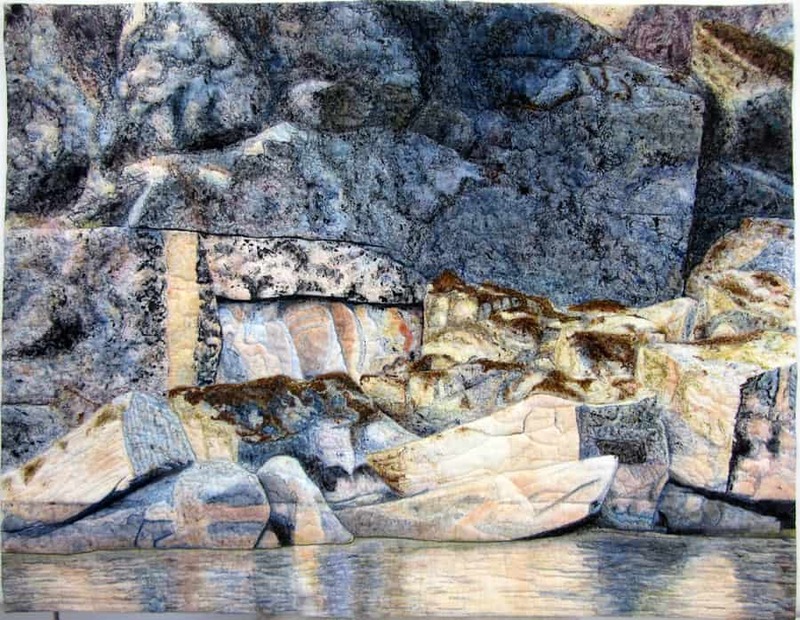 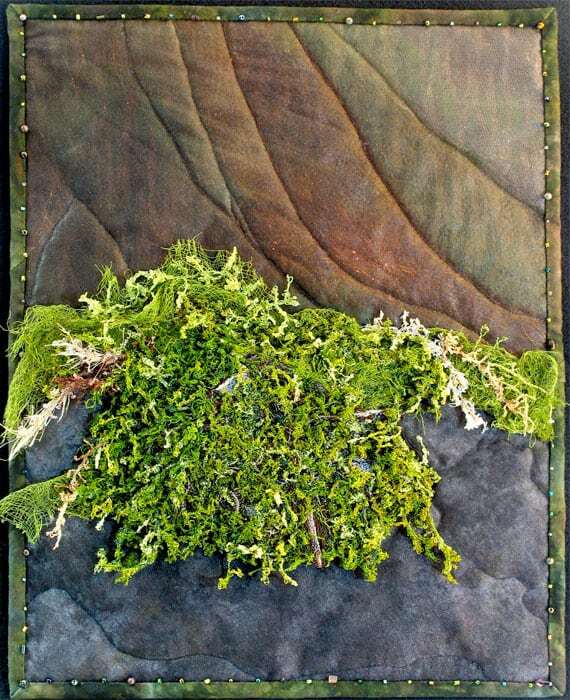 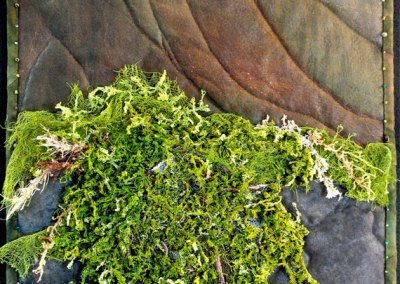 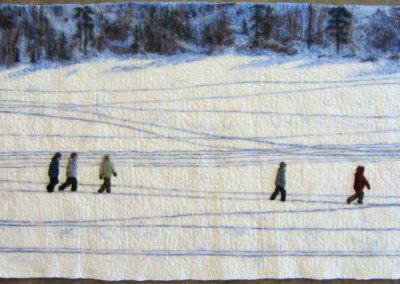 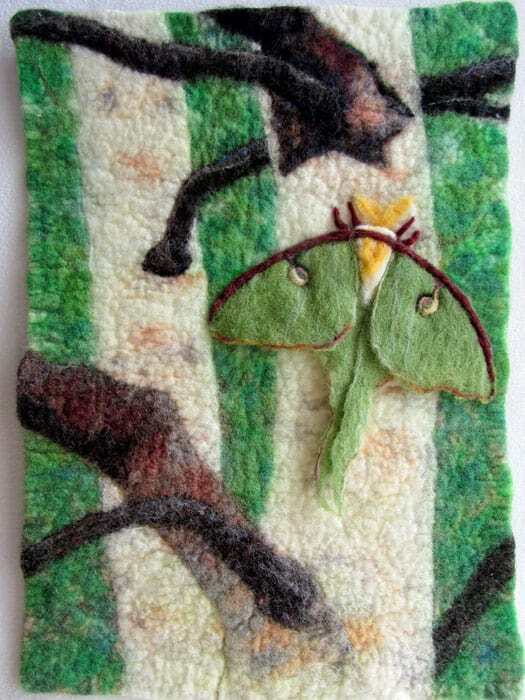 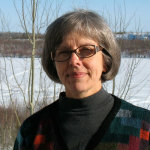 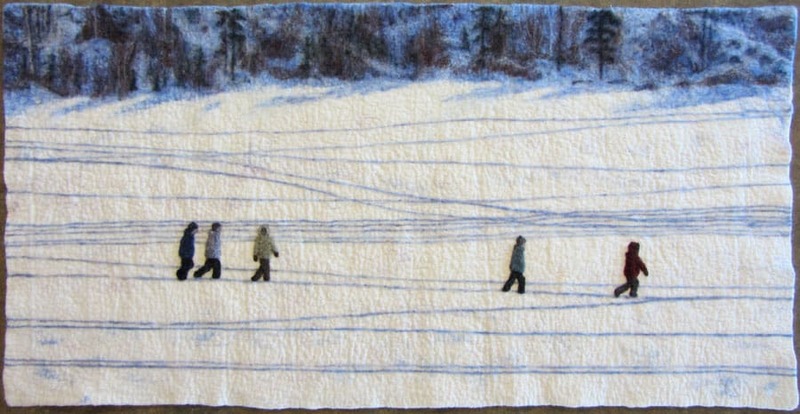 I am a quilt maker and mixed media artist, and most recently a felt maker, exploring a combination of wet felting and needle felting techniques to create objects from wool and other fibres. 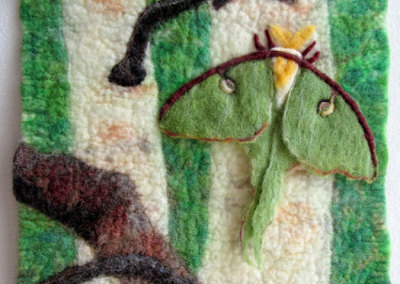 I create pictures in felt that are mainly 2-D, with some 3-D elements. 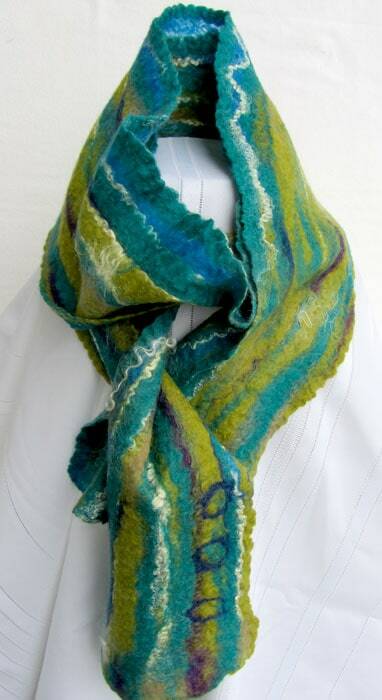 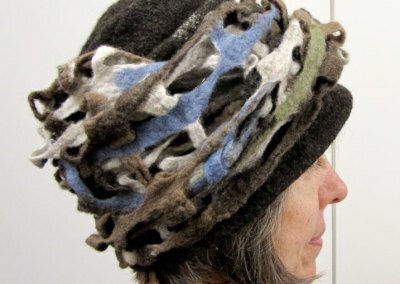 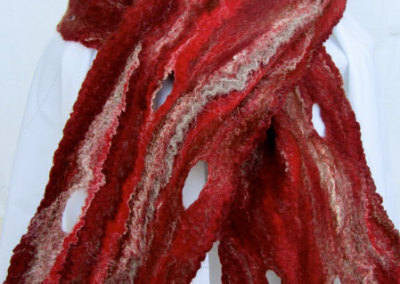 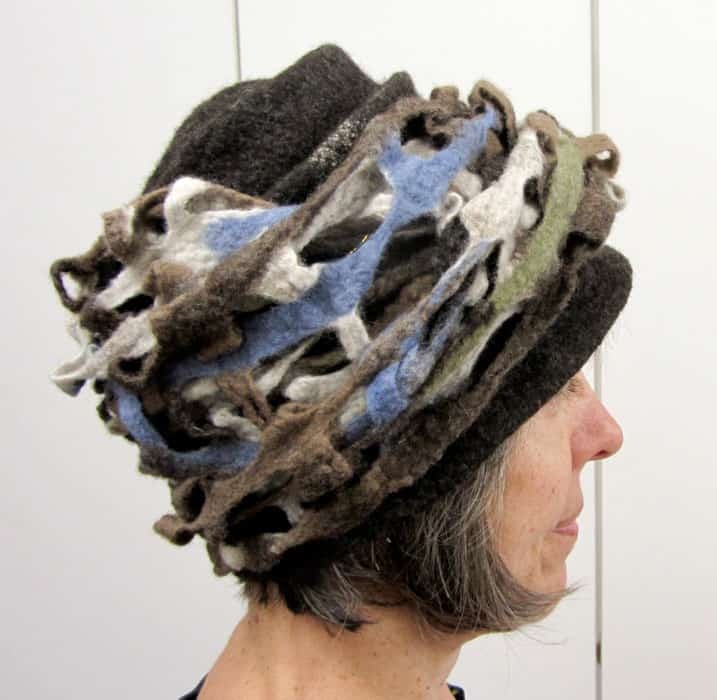 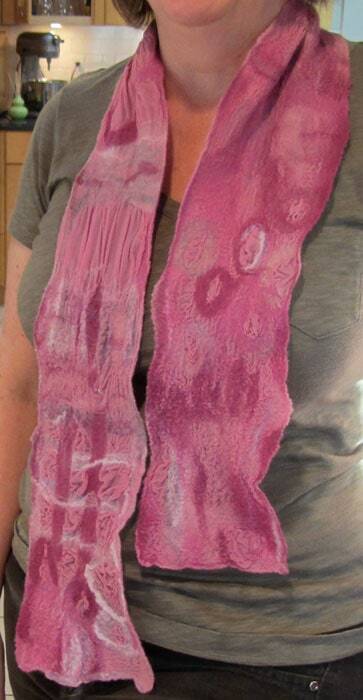 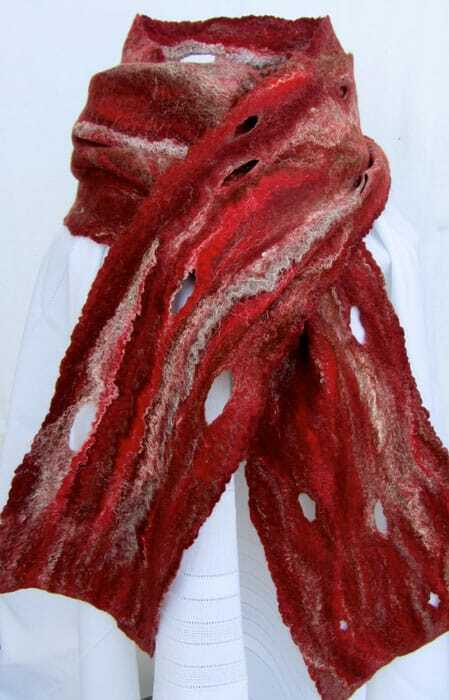 My wearable felt pieces so far include one-of-a-kind scarves — others to come. 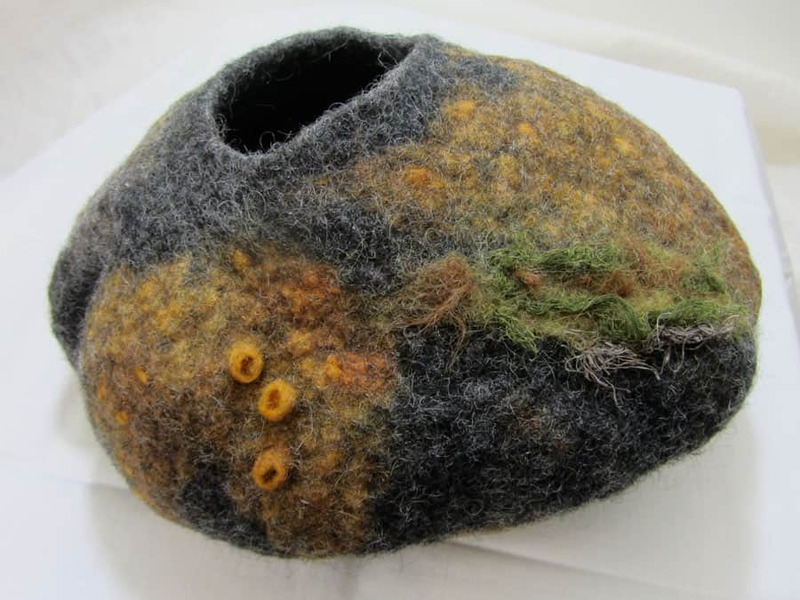 I am also experimenting with sculptural pieces, including vessels and both realistic and imagined landscapes. 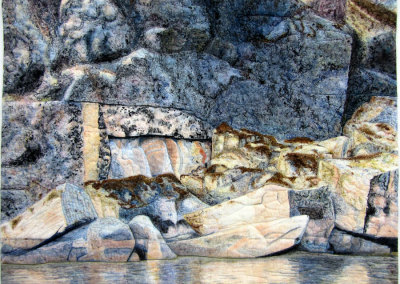 The colour, textures, and incredible beauty of the natural environment near my La Ronge home inspire me and are reflected in my work.